Additional expenses incurred in business. Money spent to purchase assets. The above mentioned transactions has to be analysed properly and recorded in a systematic way to avoid confusion of any type in future. The concept of double entry in a business transaction is necessary and important concept to be understood by the accountant or proprietor of the business. These transactions are recorded and altered in ledger only. Accounts are referred as individual record of assets, liabilities, expenses or revenue generated through a business in a systematic manner. There are types of accounts prepared in ledger for clear understanding of business status. For example- salary account, machinery account and sales account etc. The various types of assets a firm or any business entity owns fall under the category of real account. Anything which we can touch or feel physically are classified as tangible. The various types of tangible assets included in business or real accounts are building, machinery, live stock, land etc. Anything that cannot be touched or felt physically is known as Intangibles. The various types of Intangible assets included under real account are goodwill, patents and trademarks of registration firm etc. First one is furniture and the second on is cash. Both the transaction are recorded under real account. ‘A’ purchased furniture as assets for the company on cash. 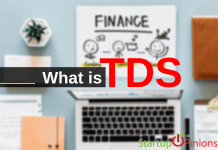 The various types of transactions which are related to individuals, firms, companies or any business entity are recorded under personal account. The transactions included in personal account are debtor, creditor, banks, goods purchased from suppliers, capital or drawings etc. 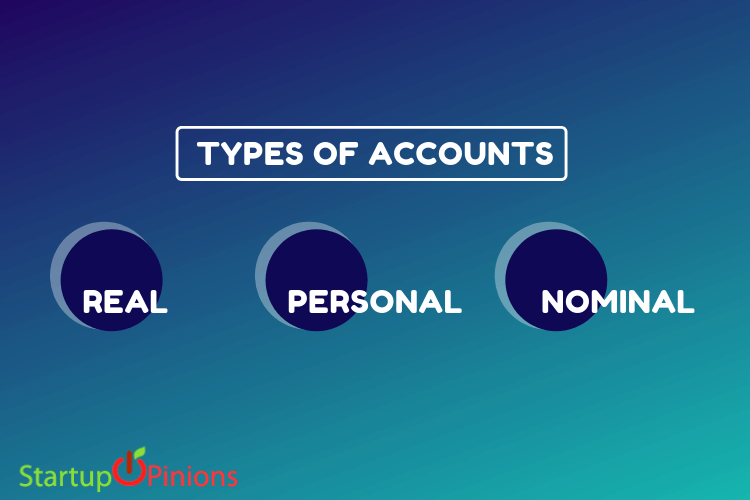 The entries of personal account are further classified under Natural, Artificial and Representative personal account. The transactions which are related to any person who is living or god created and ha ability to deal in various transaction are included under natural personal account. The types of accounts that are included as under are Kunal’s A/C, Eve’s A/C etc. The transactions under this account has separate entity or branch are created by law and doesn’t involve any god creations. The accounts involved under artificial personal account are any Private limited company, clubs, schools or LLC’s etc. The transaction which are related to the account of certain person, company, group of people directly or indirectly. The transaction recorded under this account involves, wages paid in advance or outstanding to be paid to the employee. Separate account has to be prepared in books of accounts for such transactions. 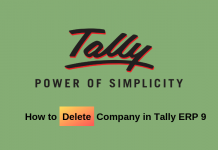 These transactions are related to any person or company directly or indirectly because separate account is prepared which is related to certain person. There are two different accounts prepared as under where first is related to Private limited company and second is related to bank. Amount of Rs. 21,000 is paid to unreal Pvt. Ltd. Company via check. The types of transaction which related to the expenses, losses, profits, income or gains are recorded under Nominal account. The literal meaning of ‘nominal’ is ‘existence in name only’. The meaning of nominal explain its account in true sense as the transaction involved under this account doesn’t really exist physically but are present in fact as it involves money transaction. It includes Purchase A/C, Salary A/C etc. The crux of nominal account is profit or loss account which is later transferred to capital account. The following example involves transaction which is related to both real and nominal account. It is very important to understand the concept of types of accounts involved for various transaction as you should be thorough with these concept or else you will end up recording wrong or incorrect journal entries. 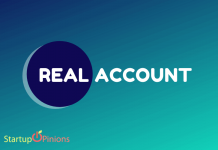 Previous articleWhat is Real Accounts and Nominal Account?